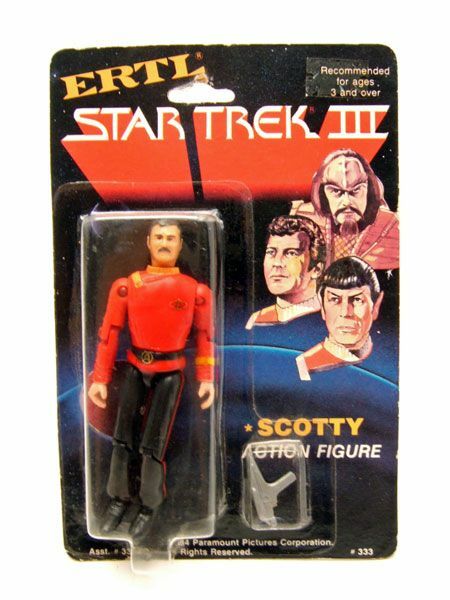 Scotty was released carded as part of Ertl's "Star Trek III: The Search For Spock" line. The Rundown: Completing the big three, it's Dr. Mc....wait, what? 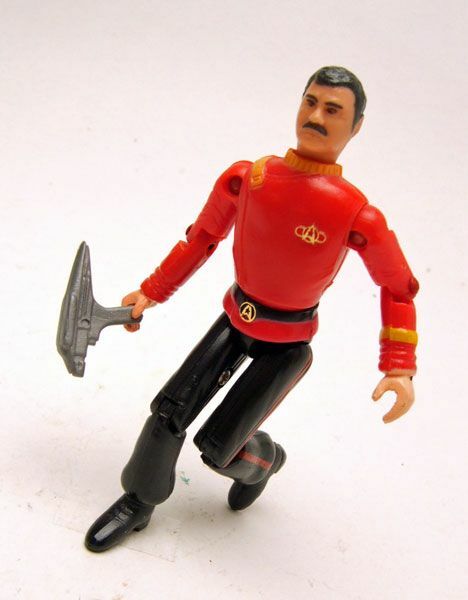 Ertl only produced 3 Trek movie crew figures and it wasn't Kirk, Spock, and McCoy?!? 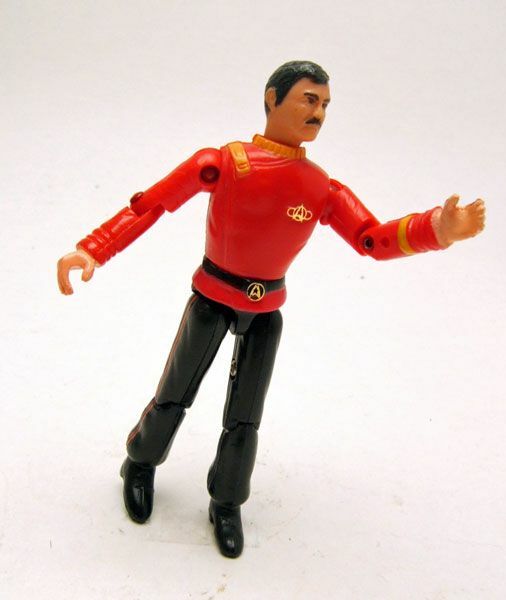 Nope, Ertl chose to produce Scotty instead of the good doctor, leaving the original trinity incomplete. 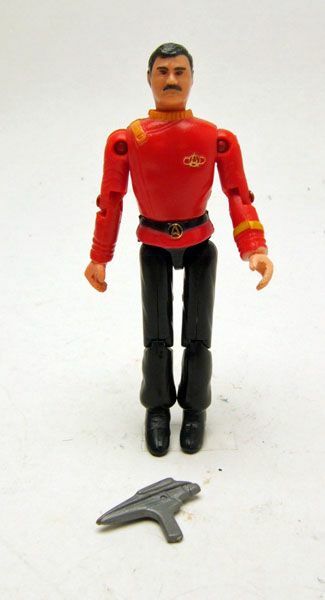 These Ertl figures are pretty much par for the course of their time in scale and construction. 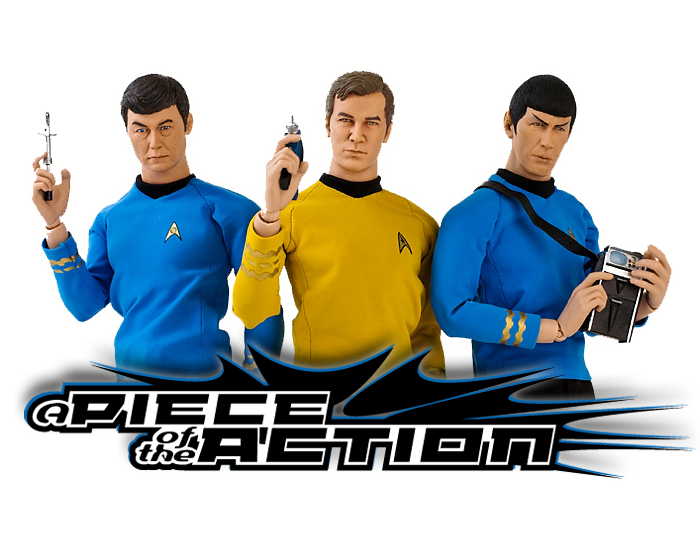 They are built with the 'O-Ring' construction made famous by the G.I.Joe: A Real American Hero line, so what you get is a line in scale with Mego's TMP 3&3/4" line, but with more articulation. The body is the same on all 3 crew members if I'm not mistaken. The construction makes the figure pretty "playable", but the sculpt suffers a bit because of it. The body comes out a bit barrel-chested, and the legs want to stay close together. 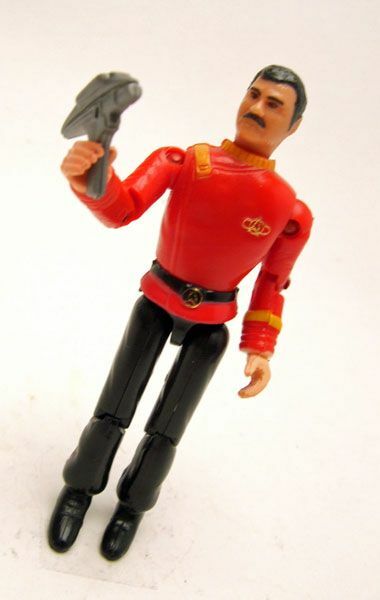 Oh, and there's no good way of having him hold his accessory since there's no arm swivel (a joint added to Joes early in the line for this very reason). Still, that stuff doesn't matter to a kid, and these guys would have interacted well with the lines of the time. The head sculpt is kinda rough. 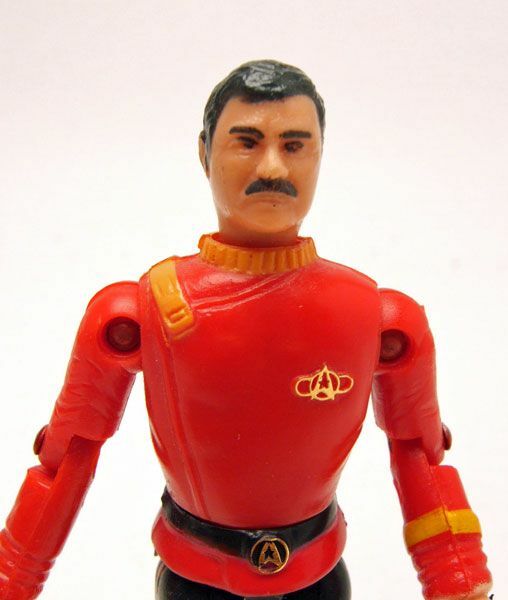 It's a step back from Mego's TMP sculpt, and doesn't look particularly like Doohan. 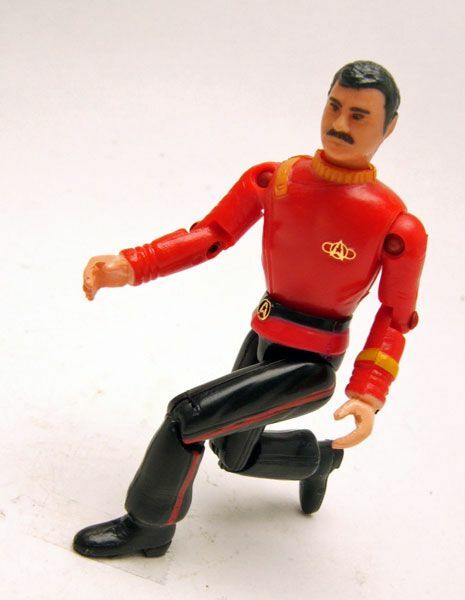 It could pass for just about any guy with a 'stach. 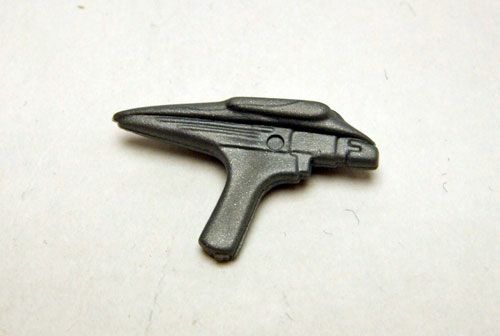 Accessories: Scotty includes the same phaser also included with Spock. It's way too big and doesn't fit well in his hand.